While the holiday season is underway, families can find many Christmas-themed special events and packages. Here are some great recommendations for a wonderful December escape. 'Tis the season when top destinations and family resorts are decking their halls and making the season merry and bright. If you're looking for a fun way to celebrate the holidays this year, one of these getaways might be just the ticket. With children around the country enjoying as much as two weeks of school holidays, many families will turn Christmastime into an opportunity for a vacation. The holiday season is arguably the most exciting time to visit New York City and definitely a time with popular family appeal. 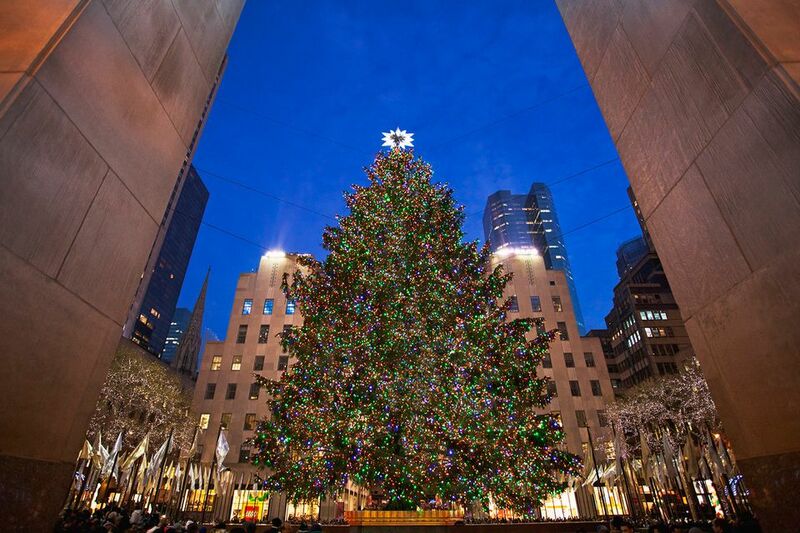 Beginning in late November, the Big Apple is transformed into a festive holiday destination, from the famous Christmas tree in Rockefeller Center to the beautifully decorated storefronts along Fifth Avenue. Love the outdoors? Perhaps the best-kept secret about national parks is that they are terrific places to visit year-round. During the winter, your family can take advantage of free ranger-led tours, junior ranger activities, and wildlife learning without the heat and the crowds. Check out these national parks that put the "win" in winter. From a popular German-style Christmas Market at Love Park to the Reading Terminal Market’s well-loved holiday railroad, the City of Brotherly Love is transformed into a festive holiday destination from mid-November through the New Year. The magic of Christmas comes alive in "The Polar Express," the beloved children's book and ​perennial favorite holiday movie. Dozens of Polar Express trains have popped up all over the country, offering families the opportunity to recreate the magical Polar Express experience through readings of the story, music from the movie soundtrack, cups of cocoa and, of course, meetings with Santa. Be sure to book ahead, as these trains can sell out months in advance. Looking for a ski resort that goes above and beyond for families? The readers of Ski magazine say these are the top 20 ski resorts for kid-friendly programming, with choices for every budget and skill level. Looking for a warm-weather winter destination that's both cheap and easy to get to? The personal finance website WalletHub looked at dozens of the largest U.S. metro areas and crunched the data to see which has the winning combination of lowest travel costs and fewest hassles. Turns out that four of the top five top warm-weather destinations are in the Lone Star State. Named one of the "10 best places to spend Christmas" by CNN, the town of Santa Claus, Indiana, whose population is less than 3,000, boasts the only post office offering a "Santa Claus" postmark and an army of elves that reply to nearly half a million letters each year from children trying to reach St. Nick. Street names include Christmas Boulevard, Candy Cane Lane, and Mistletoe Drive, and you'll find over 20 statues of Santa around town, offering many seasonal photo ops.